Domestic carriers don’t always have the most luxurious birds in the sky. If you want an exceptional first class experience, fly Singapore Airlines or Emirates. Enviable in-flight cuisine, even in coach? Try Air France, British Airways, or Turkish Airlines. Thankfully for frequent travelers—or at least mileage accumulators—you can use miles from your frequent flyer program to fly in style on these foreign airlines if they are part of your carrier’s alliance or if they have a partnership with your program. When I was invited to visit Turkey last year, I didn’t know the first thing about how much it costs to get to that region—in dollars or miles. Roundtrip flights from New York to Istanbul average well above $1,000 in the summer, and unfortunately I needed to go the first week in June. Even worse, I was actually destined for Trabzon on the Black Sea coast, a 2-hour flight from the capital that Turkish Airlines offers for a whopping $608 roundtrip. Turning to miles, I found that major airlines lump Turkey in with Europe. Better than Asian or Middle Eastern redemption rates, but still 60-110K miles in economy on United, 60-130K on Delta, or 60-100K on American. But who flies to the small Turkish regional airport? The local carrier is always a good option. In this case, Turkish Airlines had the best flights to Trabzon. The regional carrier has partnerships with a number of major airlines, including Air Canada, United, and uber-comfy Lufthansa so I had a few choices. AirCanada lumps Turkey into the “Europe 2” category, an eclectic group that includes nearby Greenland and Iceland as well as Greece and Russia, so I had to use 50,000 points and $30 for the flight to Trabzon. I love using United for international bookings. I’m always treated well on partner airlines. Some airlines treat award travelers from other airlines worse than budget bookers, not letting you confirm seats before check-in and then giving you atrocious seats (middle seats in the crying baby section on an overnight flight). Flying with United miles, I was able to use 30,000 miles and $32.50 to book my return flight. By avoiding stopovers in major European airports, I kept taxes and fees on United down. With Air Canada’s return routing, I would have had to pay $130 in taxes. Though I was able to book the Turkish Airlines flights directly on United.com, the AirCanada flights were trickier. Trabzon didn’t show up on the airport options, so I went through their award-booking desk. Turkeys Black Sea coast is an incredibly culturally rich place. Many wealthy Istanbul families keep summer homes here, but prices are very friendly for Americans. 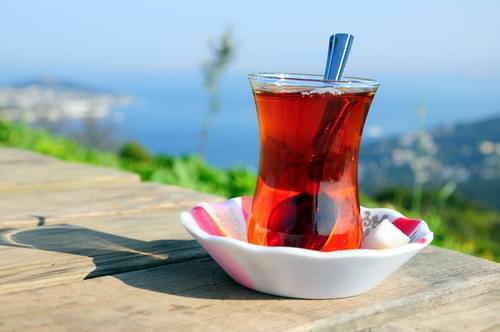 All Turkish tea, which, surprisingly, is used by most major tea brands, including Lipton, is grown here. Tea bushes line every inch of spare space on the hillsides that rise steeply from the Black Sea. Driving along the coastal road, tea is like water; they offer it for free at gas stations. And after trying i with the hazelnut baklava, made with fresh local hazelnuts from growers that supply nuts for Italian baci, Europe’s version of Hershey kisses, you’ll never settle for its walnut-filled cousin again. 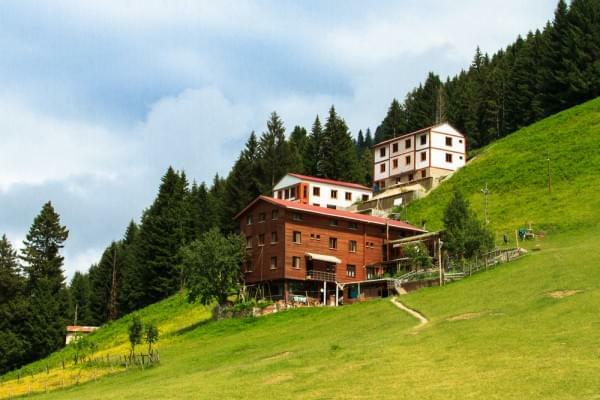 In my one brief week there, I was able to see three kinds of traditional singing and dancing, including the elegantly costumed ethnic Georgians, and do a “yayla crawl,” walking easy mountaintop trails from one small stone village to another. While 80,000 miles is not ideal for a trip to Europe, in the summer without adequate lead time, I’ll take it. And I got to enjoy Turkish Airlines award-winning cuisine en route.